These courses show you how to perform pro techniques the right way. 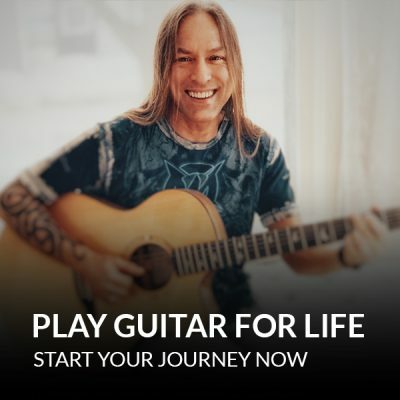 So you can play killer guitar solos and sound amazing. Play faster than you ever thought possible. 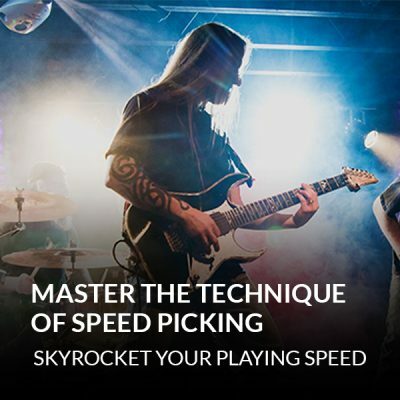 Master The Technique Of Speed Picking gives you simple exercises that will build speed and strength in both hands. So you can play fast for a long time without getting tired. 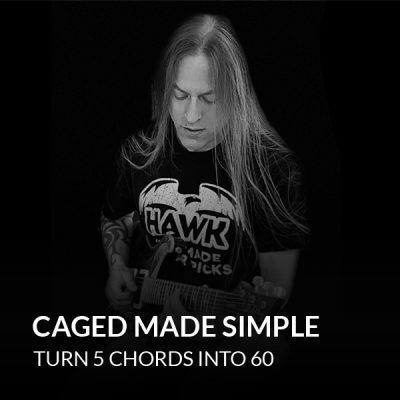 Turn 5 chords into 60 with CAGED Made Simple. 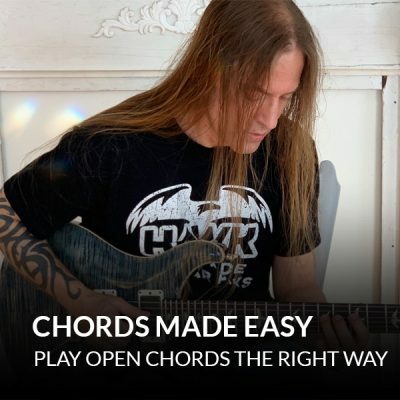 This course shows you how to master the fretboard with 5 basic chord shapes. You’ll combine these chords with the pentatonic scale to create awesome licks. This course will skyrocket both your rhythm and lead playing. 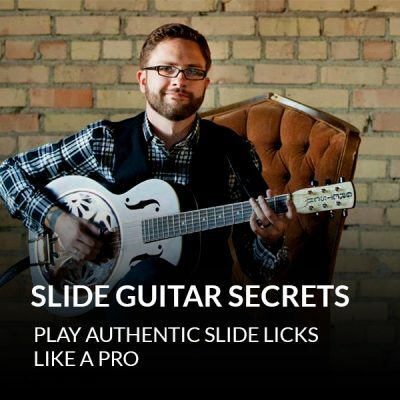 Slide Guitar Secrets is a step-by-step intro to playing slide guitar. 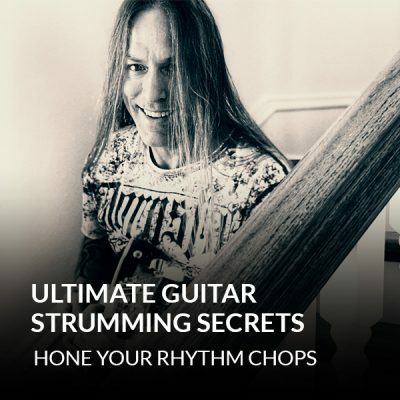 Rob Ashe shows you everything, from how to set up your guitar to what type of slide is right for you. 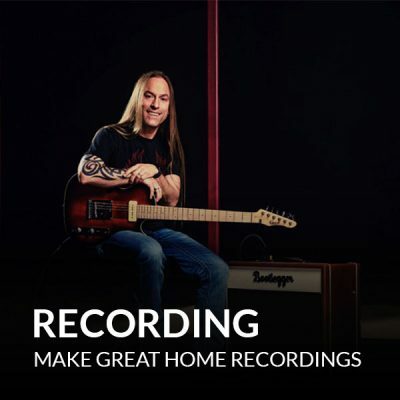 You'll be playing bluesy slide licks in no time with this awesome course. 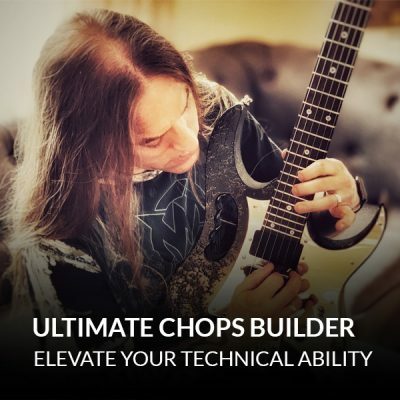 Boost the physical side of your playing with Ultimate Chops Builder. You’ll get a ton of exercises that will develop strength and accuracy in both of your hands. And you’ll play everything cleanly and efficiently. 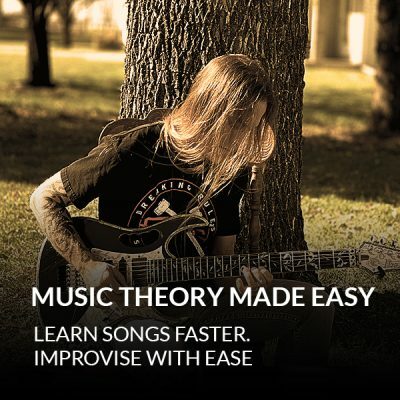 WARNING: this is NOT a theory course, and it’s not for beginners. If you want to really shred, you need to know about arpeggios. 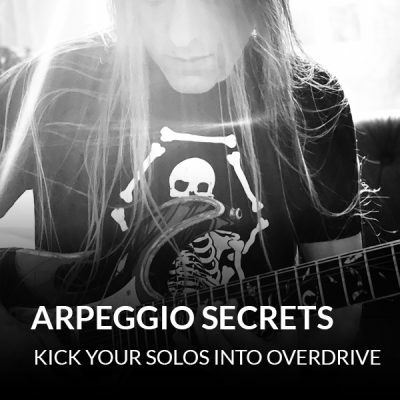 In this course, you’ll find out how to use arpeggios from a lead guitarist’s perspective. So you can play blazing licks that sound awesome. Eddie Van Halen is known worldwide for his signature tapping technique. 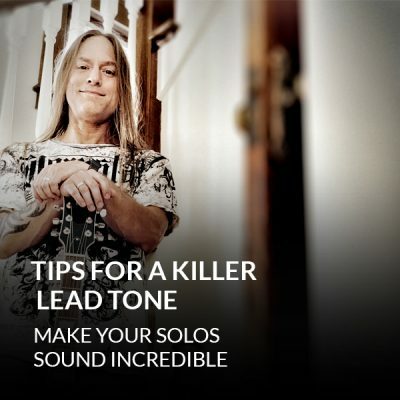 Let Steve Stine break down how it's done and see what it can do for your lead guitar playing. 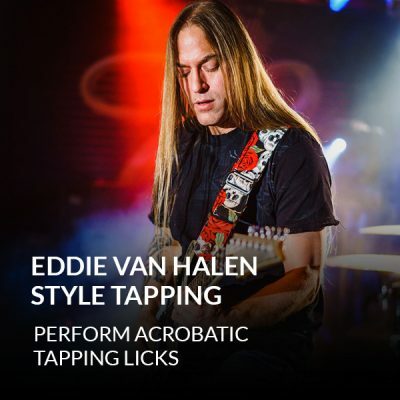 You'll learn how to tap with precise control, and you'll quickly learn how to use tapping to create your own blazing hot licks and solos. 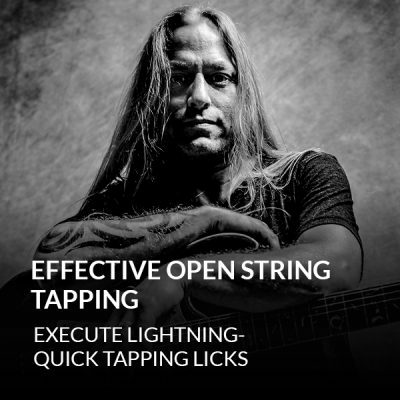 String tapping can add serious speed and dynamics to your licks and solos. 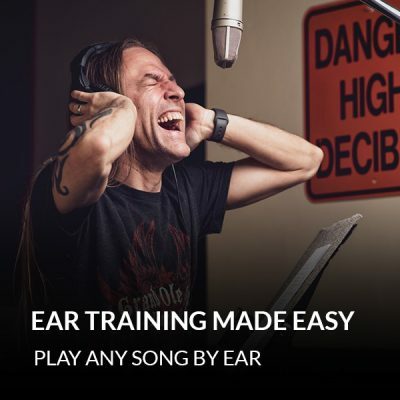 Steve Stine is going to break this awesome technique down for you. So you can tap with confidence and precision. Spice up your rhythm playing with fingerpicking. 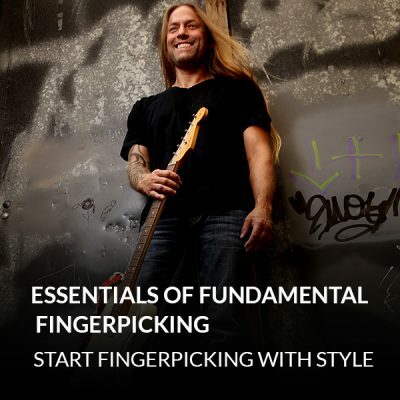 Essentials Of Fundamental Fingerpicking shows you some basic fingerpicking patterns for essential chords. So you can start fingerpicking right away. Stop playing solos that sound like scales. Make your guitar "sing." 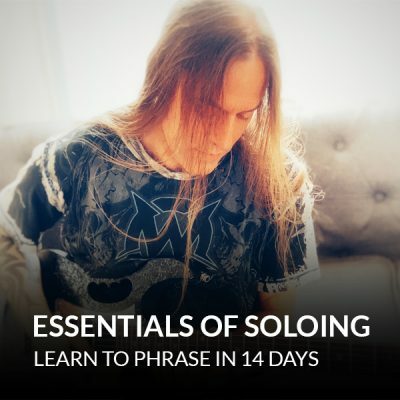 Create musical solos with Learn To Phrase In 14 Days. Shape your guitar tone to fit any playing situation. Create A Killer Guitar Tone shows you how to find your signature tone. And you’ll find out how to get the tones Steve uses in his videos. If you want to sound like a pro when you play lead guitar, you have to know how to get a great tone from your equipment. 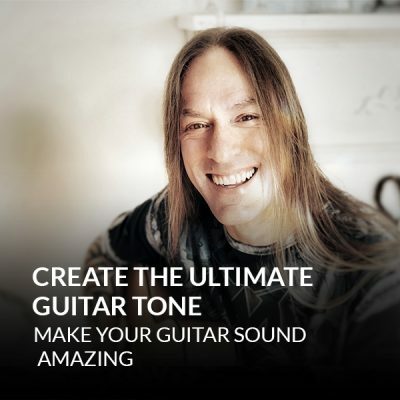 In this video, Steve Stine breaks down the elements of tone and shows you how to get the tone you want from your guitar and amp. 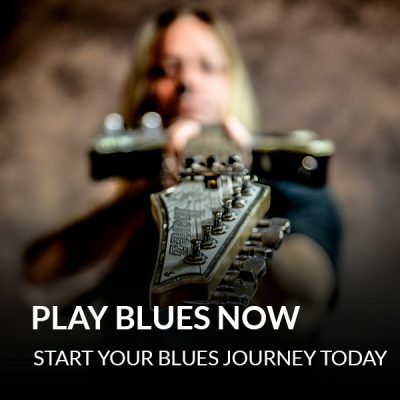 Start playing authentic blues today with Play Blues Now. You’ll play 12-bar blues progressions right away. And you’ll learn essential blues chords, scales, and techniques. After this course, you’ll be able to sit in on any blues jam session and play with confidence. 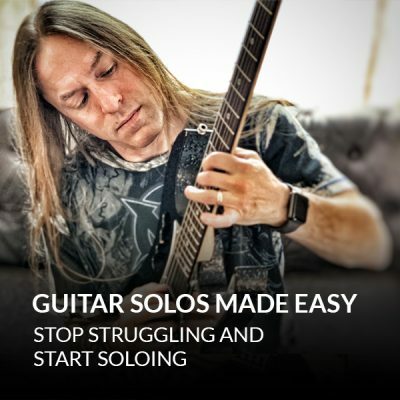 Guitar Solos Made Easy lets you play your favorite guitar solos in half the time. You’ll master skills like string bends, slides, and vibrato, so you can sound awesome when you play. You’ll get all the essential scales, as well as Steve’s absolute ninja trick “chord chasing.” So you can solo with confidence over any song. Make the most of your practice time. 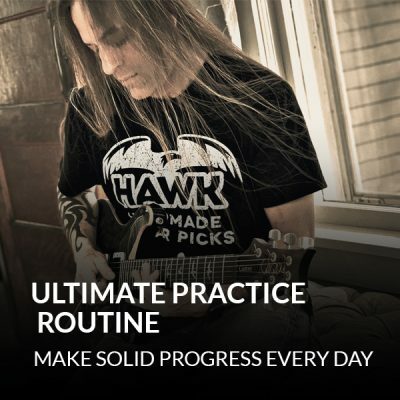 Ultimate Practice Routine gives you all the essential skills you need as a guitarist. Easy to follow practice sessions will improve your skills as fast as possible. 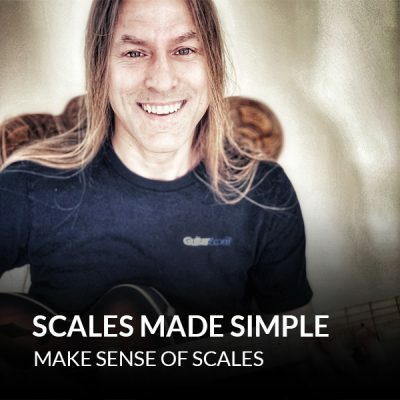 Make sense of scales with Scales Made Simple. 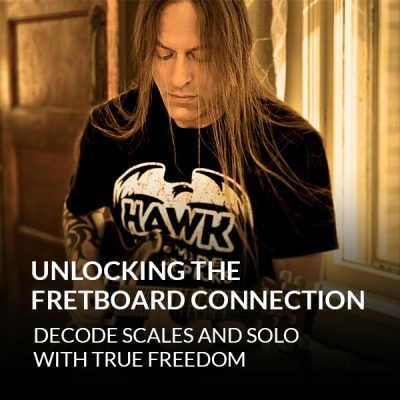 Steve Stine is going to show you how a little scale knowledge can skyrocket your guitar solos. You'll get practical info about the major and minor pentatonic scales, the hybrid scale, the dorian scale, and more. So you can solo with confidence. Discover how to play 12 essential barre chords across the fretboard without hitting any wrong notes. 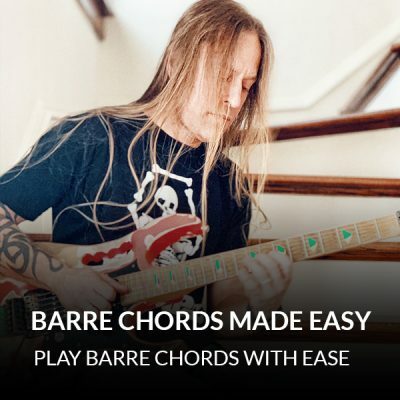 Not only does Barre Chords Made Easy give you more chord options to play your favorite songs, it also provides you with an effective system that applies just as easily to soloing.